This 3pt linkage mounted overseeder improves sports turf. 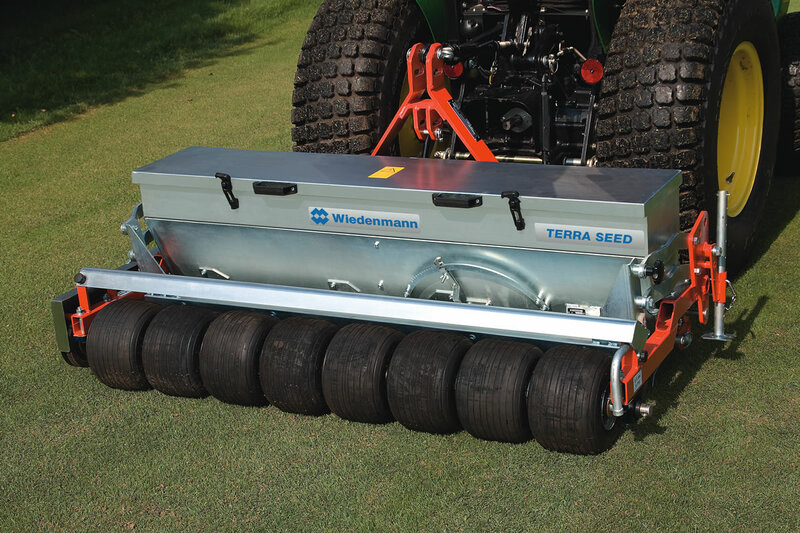 The TERRA SEED’s inquisitive spring tines open up the ground’s surface to create a seed bed. The integrated agitator shaft ensures uniform, stripe-free seed distribution. A parallelogram-guided seed brush places the seeds into groove created by the spring tine. The rear tyre seed roller very effectively presses the seeds into the ground for optimum seed/soil contact. If you are interested in our TERRA SEED use the quick enquiry form below.